What is the mission of the church today? On one level it is the same as ever: To proclaim Jesus Christ to the world near and far. But is this actually happening? Yes, but the culture in general seems to be disregarding the message. This situation may seem new but it isn’t. 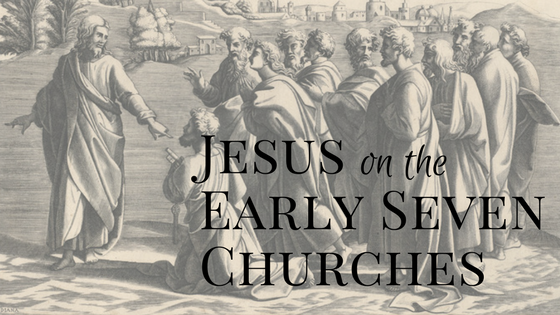 After Jesus gave his commission to “Go and make disciples of all nations,” the effort to build the church got underway. Almost immediately though, Jesus’ followers ran into dangerous conflict both within the ranks of the new church and from the world beyond. In his revelation to John, Jesus speaks to the seven churches. He points to how they are abiding in the mission of faithfully establishing God’s word in a resistant world, but he also points to ways they have wandered off the path that Jesus established for them. Jesus is saying this to the Ephesians and to all churches through the ages: “Who or what is your first love? Is it your pastor? or the church building? Is it the music or your fellow congregents? If your first love is anyone but me, you have wandered. Come back to me! To the church in Pergamun, Jesus says you have been faithful to my name even under pressure of opposition, but at the same time you have been enticed away by false teachings that serve Satan’s designs to separate you from me. To the church in Thyatira,Jesus says despite “your love and faith and service and patient endurance,” you have let the woman Jezebel into your midst to seduce you with false teaching and worship.She has been permitted to corrupt and compromise all the good you have been doing. Who is Jezebel? She was the wife of King Ahab and she turned him against Elijah, the prophet of God. She was the embodiment of all the corruption in the world. A church that lets the spirit of Jezebel in is in danger of her spirit subverting the mission of the church itself. If we think in purely human terms, we will come to believe that the good we do is good enough. Then we are redefining God’s mission for the church to suit our own idea of what that might be. Building the church on the terms Jesus gave us is really the only way. As the church was spreading, enemies of Jesus tried to infiltrate and undermined the witness of the church with deceptive philosophies. But the church in Philadelphia was steadfast in resisting the lies of the enemy. They remained true to Jesus despite outside pressures. Prosperity has damped down the passion for Christ the church once had. “For you say, I am rich, I have prospered, and I need nothing, not realizing that you are wretched, pitiable, poor blind and naked.” Money is not the enemy of Christ. Complacency, prosperity’s offspring, is. This entry was posted in From The Blog and tagged Bible, bible study;, christ, church, churches purpose, early churches, Eric Kampmann, Getting to Know Jesus, God, Jesus, jesus said, kampmann, mission of the church, purpose of the church, what would jesus do on March 2, 2018 by Alison.